NHL News : Report: Kulemin done for the season? 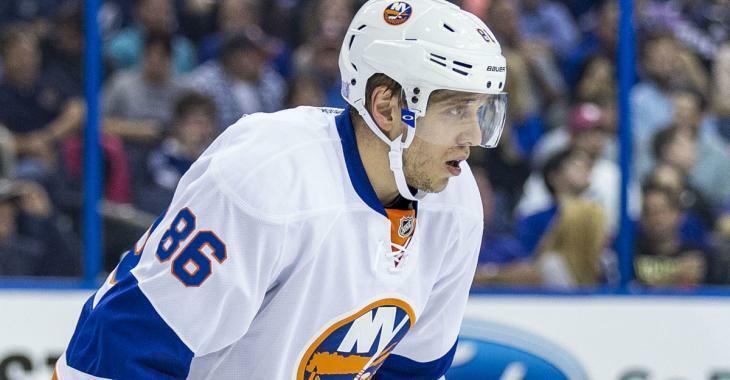 Report: Kulemin done for the season? The New York Islanders announced that forward Nikolay Kulemin will be out for six months after undergoing surgery for an upper-body injury. Kulemin has been out since November 7th after taking a big hit from Edmonton Oilers defenseman Eric Gryba. Before the injury Kulemin had taken part in 13 games for the Islanders this season, recording one goal and two assists Last season, he amassed 23 points in 72 games. Kulemin’s injury resulted in a recall for top prospect Joshua Ho-Sang, who went on to score a goal in his first game back with the club.